The second edition of the Techcircle SaaS forum 2013 is underway at The Chancery Pavilion Hotel in Bangalore (even as we write this post) and five handpicked startups are showcased at the event, as part of Techcircle Runway. The representatives of the startups are making presentations on products, innovation, market opportunities, business models and how they will disrupt existing markets to create value. Each presenter has been given six minutes on stage and each presentation will be followed by live feedback and Q&A with a panel of jury members that include Aneesh Reddy, co-founder and CEO, Capillary Technologies; and Alok Goyal, partner, Helion Venture Partners. Here is a quick look at the companies that are showcased at the event. 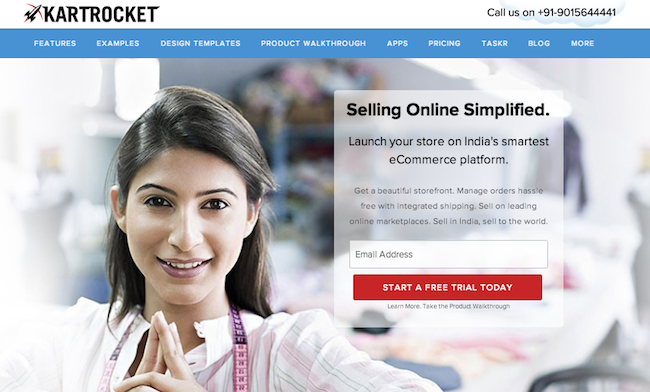 KartRocket.com is a do-it-yourself (DIY) e-commerce platform that enables Indian small and medium enterprises (SMEs) and retailers to launch their own e-commerce sites. Owned and operated by Delhi-Based startup BigFoot Retail Solutions Pvt Ltd, KartRocket's offerings include a number of storefront designs, domestic and international payment options and a shipping platform (ShipRocket). The startup recently raised an undisclosed amount in seed funding from 5ideas Startup Superfuel and 500 Startups. 5ideas Startup Superfuel led the round which also saw participation from Jatin Aneja, partner at Amarchand Mangaldas. Focused on adults who are health conscious, the Bangalore-based startup enables customers to take control of their health by providing them with health scores, reports, goals as well as recommendations. 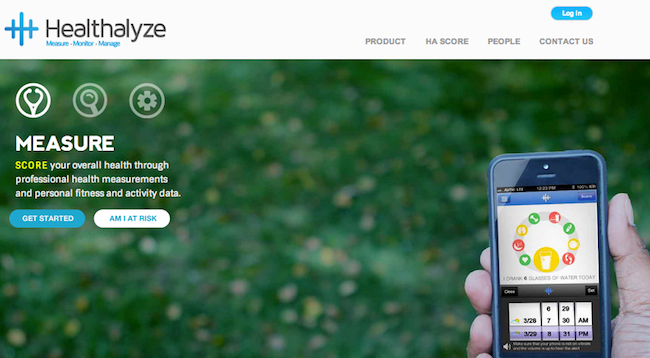 It captures each customer's medical, lifestyle and family history, as well as his/her food habits to generate a health score. This can then be used by the customers to set health goals and track the impact the changes in life style have on their health. The captured data provide a comprehensive view of the patient's health and habits. Rouse is a highly customisable plug-and-play loyalty engine that its clients can use to strengthen their user engagement. Using the engine, companies can incentivise users to perform various actions such as purchasing products, spreading the word around, and creating and consuming content (like uploading pictures/videos, etc. ), based on a pointing programme. These points can later be redeemed for rewards. Moreover, clients can modify the programme anytime using a client panel. AdBox Software is building a one-stop platform for digital marketing that will provide real-time optimisation of search, social and display campaigns to give them unprecedented return on investment (ROI) and scale. 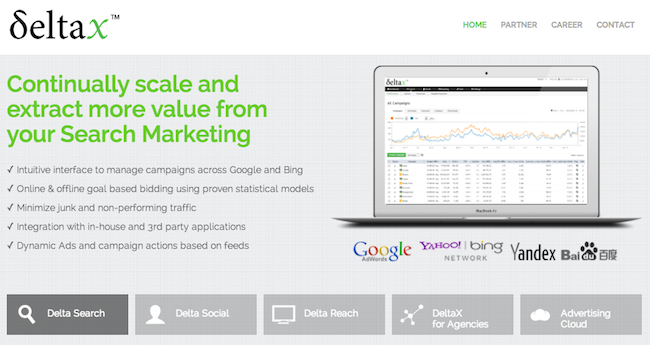 DeltaX, the company's flagship, enables advertisers in buying, tracking and optimising media across search, social media, mobile and video. The platform supports any currency or time zone and is available in over 10 languages. The Bangalore-based startup is targeting companies that have a social presence (almost all of them) with their flagship BoxMyTalk, a social mail box which automatically filters, analyses and tags 'mentions' in the social media space (in real time) and converts them into various business functions like query, customer service, support, complaints, etc. These categories and tags can also be grouped into boxes, like community box (all conversation threads which answer user queries); company box (relevant mentions about company or its competition); ticket box (complaints, customer service and support social mentions); and CRM Box (leads on prospective customers and their social profiles).